We have now been living in Playa del Carmen, Mexico for about two months. People adapt, and for me there hasn’t been much need for it other than adjusting to the absence some dear friends. That’s no small thing, but with an exception here or there, I have worked from home for a decade and everything still feels the same. With more sweat. Katy’s story is slightly different as her entire career path has shifted. She works in a different environment, with different people, a different product and a different commute. Her climate change has been more than temperature. Acclimatization of a lady aside, it’s been an affirmation of the obvious, but something we had been thinking for a long time: This is the right move. As we continue to live down here we would like to write about some highlight items from our experience. Something to share with friends thinking of visiting us and for potential tourists to see what kind of bottles and activities you can get into down here. This post? Sailing off the coast of Cozumel. 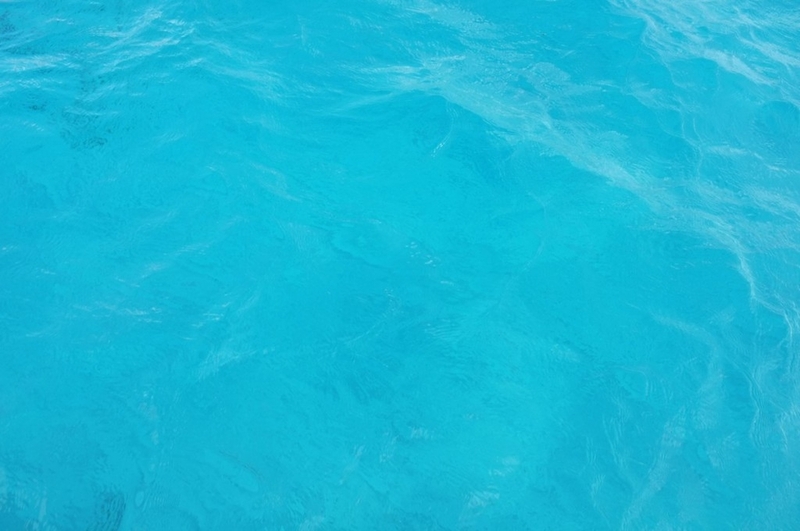 We recently booked a trip through Dan and Karen who own Cozumel Sailing. It was a Saturday sunset sail that lasted about three hours with one of our best friends, Amanda Ames who was in town visiting. Sailing, as with living in the Caribbean, has been a longtime goal of mine. At least I’ve talked about it enough for it to feel that way. If we’re drinking together and I haven’t brought up jumping off the bow of a boat, we haven’t had enough. Other than taking out a small Hobie Cat on our own off the shores of Playacar, we hadn’t been on a real sailboat in our time here until last weekend. And so we did. And so it was great. We took a taxi north from the main square in Cozumel to Puerto de Abrigo where we met the owner, Dan. After getting us a quick drink and taking some time to chat, Dan handed us off to Captain Juan and his Captain’s Mate, Toby. The two of them were skilled sailors willing to take us wherever we wanted to go. South was perfect. Before sunset we slowed the boat over the clear, turquoise water just south of Puerto de Abrigo. I swallowed the rest of my beer, the three of us each took back a good ounce of tequila and jumped in. We finished, climbed back aboard and continued south until sunset. The sunset was beautiful, but different than the way it is from land. 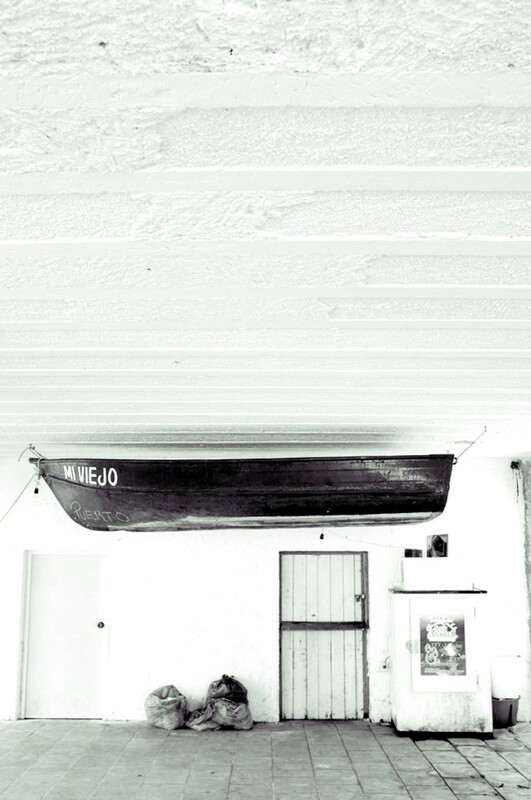 The boat moves with the sea. There are no sounds of cars passing by or glasses clanking or the chatter of others. It wasn’t like the sunsets from our home in Vancouver, which have their own qualities. It was something new. It was only the sound of the ocean lapping against the hull. It was only the sound of the sails. It was all kinds of literary if that’s what you wanted. For us? It was plain beautiful. 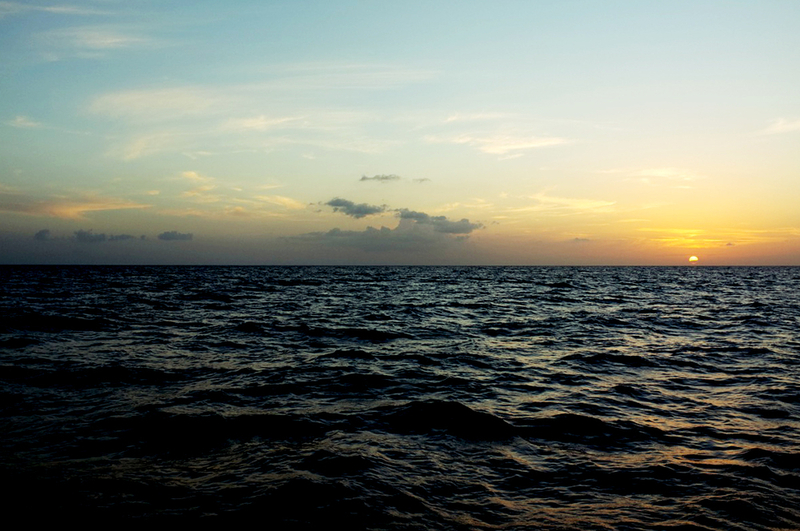 If you think simple is beautiful, staring at a sunset from a boat in the Caribbean Sea is about as simple as it gets. We headed back after sunset. We took one more evening swim in the dark. Below I’ll share some pictures I took during the day. 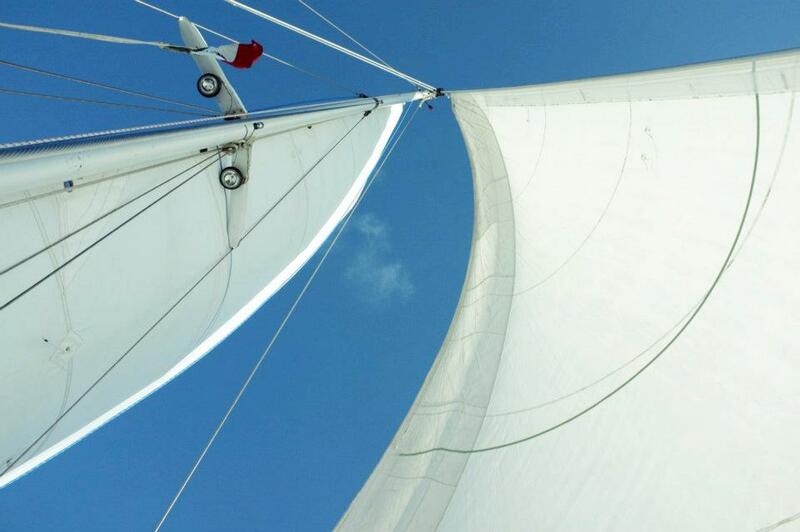 If you’re headed to the Riviera Maya and you want to go sailing, give Cozumel Sailing a try.